MEMPHIS, TN (WMC) - With more than 46,000 IRS employees being called back to work, tax season is set to start Jan. 28. Those federal employees will work without pay unless the government shutdown comes to an end. The IRS has said it will pay out refunds during the shutdown, but tax preparers say there will likely be delays and issues getting IRS workers on the phone. “We just ask our taxpayers to be patient with the process be patient with the IRS,” said Ashly Holmes. Holmes is a certified tax preparer with Y Solution Taxes in Whitehaven. She said she’s trying to stay hopeful about the upcoming tax season, but the gridlock in Washington is making it hard since the IRS won’t be fully staffed. Holmes said by this time last year, their firm had processed a couple hundred returns and had them ready to file. This year, the volume is much slower. “I had a client yesterday needing to find out if they had an offset – they could not get in touch with the IRS – no one answered the phone,” Holmes said. Holmes said when the IRS opens, she's expecting long waits on the phone. She also anticipates return processing will be delayed, which is why taxpayers are encouraged to file early. “Normally our taxpayers expect to get a refund within the 21-day period but I know it’s going to be longer than 21 days,” Holmes said. Rita Minion says she and her husband are expecting a refund and don’t mind waiting until they get it. “It would be nice, it would add extra money to our budget but if I don't get it, I'm not going to sweat about it,” Minion said. However, tax preparers say many people use the extra funds to cover Christmas costs and any hold-up may be a hardship. “You have people really needing the tax money right now,” resident Larry Campbell said. 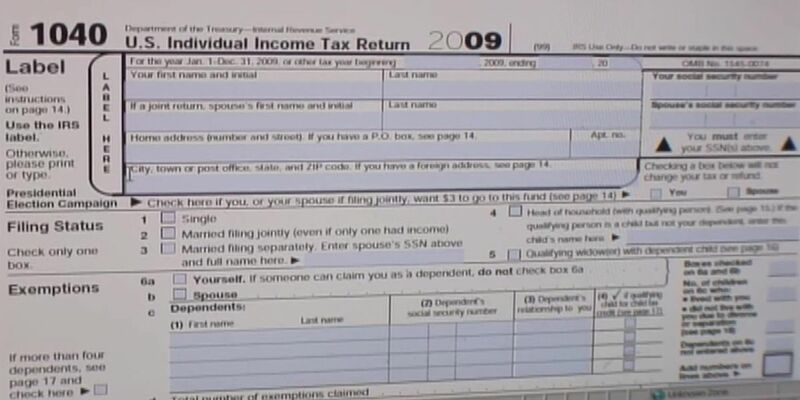 This is the first tax filing season since the Republican tax cuts that went into effect in 2018, so that means new forms and new deduction amounts. Additionally, taxpayer assistance centers – where you can get face-to-face help from the IRS – remain closed, including the one in Memphis.